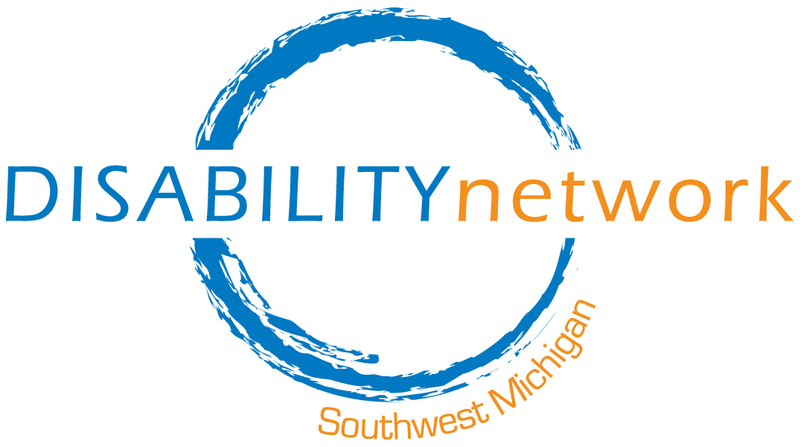 Disability Network Southwest Michigan is proud to announce that one of our staff members, Miranda Grunwell, is this year’s recipient of the Chairman’s Award from the Brain Injury Association of Michigan (BIAM). This recognition reflects highly on Miranda’s dedication and enthusiastic support of the BIAM. 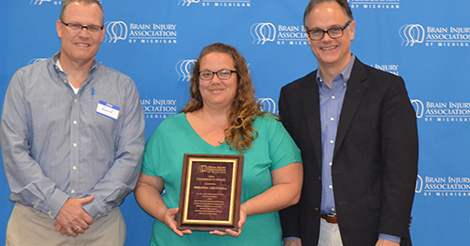 Miranda is the facilitator of the Brain Injury Survivors Group, the Kalamazoo chapter of BIAM which meets weekly and serves as a peer support group for adults with any type of brain injury. The group celebrated their 30 year anniversary earlier this year. Miranda has served as facilitator of the Brain Injury Survivors Group since she joined Disability Network in 2007. Although Miranda’s job at Disability Network has changed over the years she has always held onto her role as facilitator of the Brain Injury Survivors Group. Miranda’s; easy-going disposition makes her a great facilitator for this group. She adheres to Independent Living principles by recognizing that the support group is “owned” by the members; as facilitator she respects their choices and preferences and supports their leaders as they determine appropriate.